One of the trickiest parts to get my head round while training to cycle from London to Paris has been the nutrition. I’m not naturally an endurance athlete so I’ve never had to experiment really with fuelling whilst moving. Even during the triathlons I’ve done I got away with a couple of badly-timed gels and powered through on sheer willpower. You can’t quite do that for 7 hours on a bike when there’s an awful lot of hills to climb. The first few training rides I under-fuelled, leaving my legs completely empty and leaving me feeling really rotten by the end of the ride. Following that I made a real effort to fuel properly during training, starting after one hour and making sure I eat something every hour after that. I would estimate that during training I’ve been getting in 20-30g of carbohydrate per hour in the form of energy gels, carbohydrate powder in my water bottles and ‘real’ food like granola bars and Soreen banana bread loaf. Having spoken to a specialist from Science In sport at a recent cycling event, I’m now thinking that 20-30g per hour isn’t quite enough. Apparently we should be taking in around 60g of carbohydrates per hour to stay fully fuelled. That’s the equivalent of three gels! My stomach does not agree with a high volume of processed sugar like gels or energy blocks so I’ll be trying to keep these to a minimum. Breakfast (two hours before we get on the bikes) – high GI foods including cereal, fruit, juice and bagels. I’ll also be getting in some sort of French pastry each day because it would be rude not to. 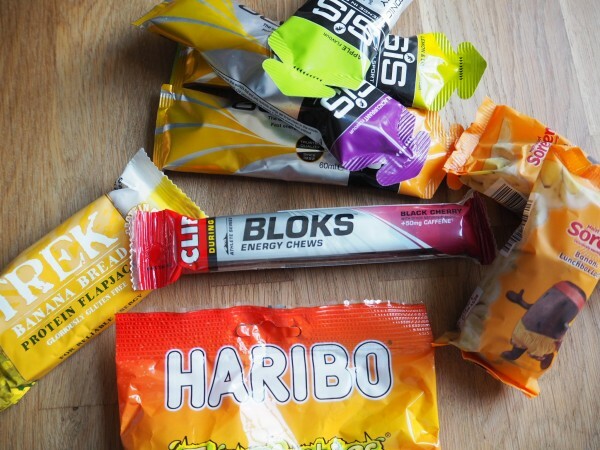 Every hour on the bike – one Science In Sport energy gel/Clif Blok or one bar of real food + one serving of Tailwind soluble carbohydrate powder with electrolytes in 500-800ml of water. I’ll also have the emergency fizzy cola bottles to hand for a mental and physical boost before hills. Post-ride – dinner with a focus on carbs and protein keeping fats and fibre to a minimum for obvious reasons, no one needs to be caught short on the side of a French road. Keep drinking soluble electrolytes and carbohydrates throughout the evening to carb load and rehydrate before the next day. I’ll also be carb-loading for 2 days before we leave to try and fill my muscles with readily-available energy. This will come in the form of high-GI foods again like rice, pasta, potatoes, cereal and bread. 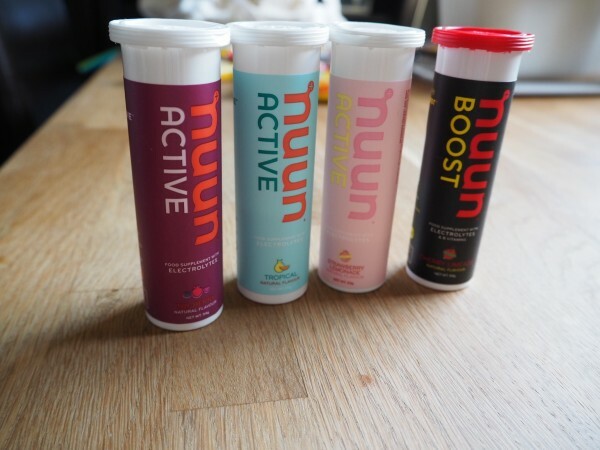 For hydration I’ll be aiming for at least 3 litres of water each day, half of which will have Tailwind soluble electrolytes and carbohydrates in, the other half will be have Nuun electrolytes tablets* in. I get very thirsty when I’m cycling and on one particularly hot training ride I got through 5 litres of water. In hindsight it was potentially a bit too much as for the next few days I felt awful. Have you got any tips for long-distance nutrition? How did you deal with the loo stops during the ride?! Well I managed not to do any wild wees and could wait until we stopped for lunch or arrived at our destination!